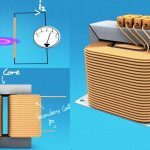 Home / Electronics Articles / What is the difference between power transformers and distribution transformers? Power transformer transfers electrical energy in any parts of electrical circuit between generator and primary distribution circuit. Distribution transformer is a transformer for transferring electrical energy from a primary distribution circuit to a secondary distribution circuit or a consumer circuit. Designed for maximum efficiency of 100%. Designed for 60-70% efficiency. It is independent of time. It is time dependent. Power transformers are used in transmission network of higher voltages for step-up and step down application and are generally rated above 200MVA. 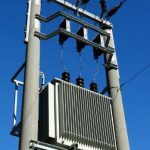 Distribution transformers are used for lower voltage distribution networks as a means to end user connectivity and are generally rated less than 200 MVA. 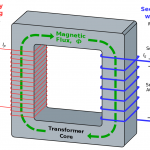 Power transformer is greater in size. Distribution transformer is lesser in size .